When you work with people in another time zone, it's a good thing to keep track of what time it is there. It can be easy to forget how many hours ahead or behind they are. 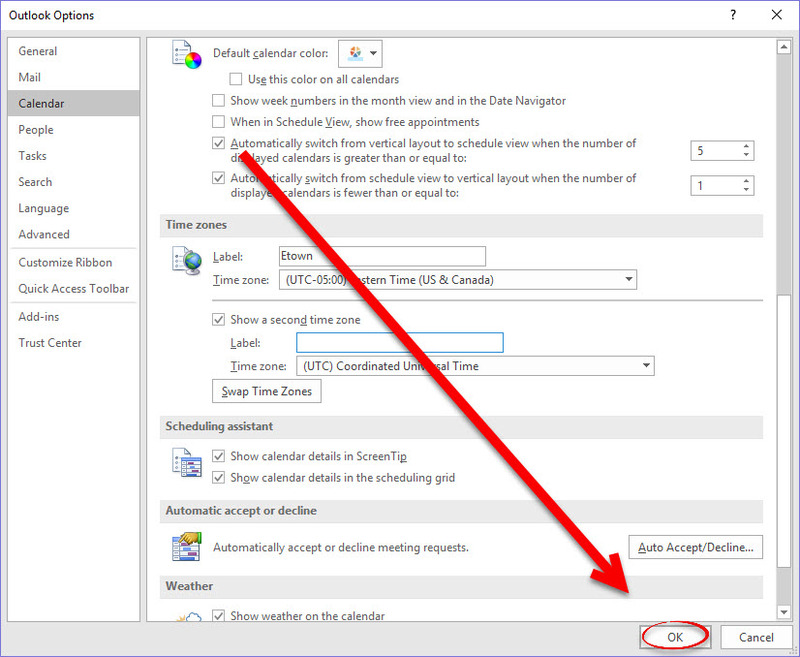 A simple way to keep track of this is by adding a second time zone to your Outlook calendar. 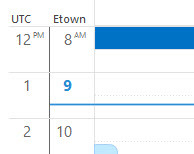 Step 1:Display your Calendar in either Day or Work Week view so you can see the time bar that displays the hours in your calendar. Step 2:Under the File tab, click Options. Step 4:In the Label text box, type the name of the area to remind you which time zone you're looking at. Step 5:In the Time Zone dialog box, select the Show a second time zone check box and choose a time zone from the Time Zone dropdown list.